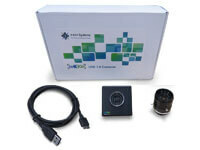 See3CAM_11CUG - Industrial Digital Camera is a 1.3MP Custom Lens Color USB 3.0 Camera. 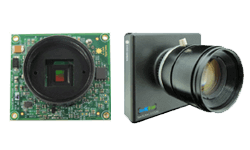 These Industrial Cameras are based on the Aptina / ON Semiconductor AR0134 CMOS image sensor. This See3CAM_11CUG is UVC-compliant SuperSpeed USB 3.0 Camera that is also backward compatible with USB 2.0 host ports and does not require any special camera drivers. The See3CAM_11CUG Industrial Digital Camera includes Image Signal Processor (ISP) which enables processed YUY2 video streaming and supports VGA@60FPS* and 720p@30fps (HD) when interfaced to a USB 3.0 host port. 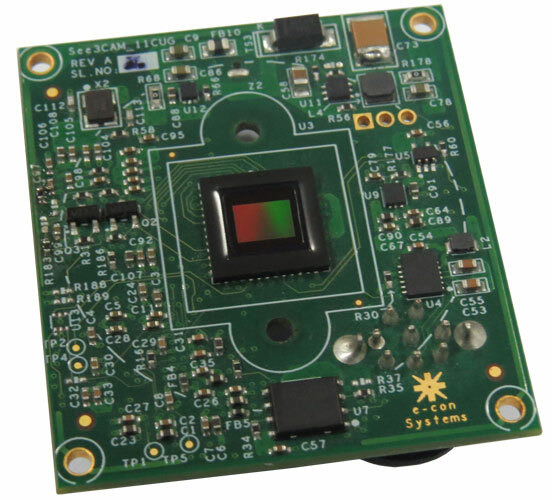 Customers who own platforms that support SuperSpeed USB 3.0 and are interested in evaluating the 1.3 MP USB 3.0 Color industrial camera targeted for Machine vision camera can directly buy the See3CAM_11CUG from e-con Systems. In addition to See3CAM_11CUG, the evaluation kit comes with e-CAMView - Windows sample application for video preview and still capture along with the UVC Extension features (for Windows 10, Windows 8, Windows 7, Linux and MAC *) or QtCAM - sample application for video preview and still capture along with source code (for Linux) and support for 4 weeks. 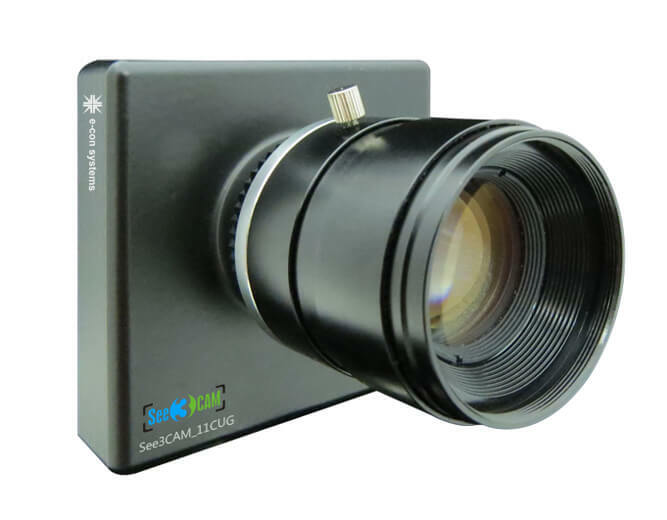 The See3CAM_11CUG, USB 3.0 Industrial Digital Camera has CS mount lens holder mounted above the sensor. This allows various compatible lenses to be used with this Industrial camera as shown below. 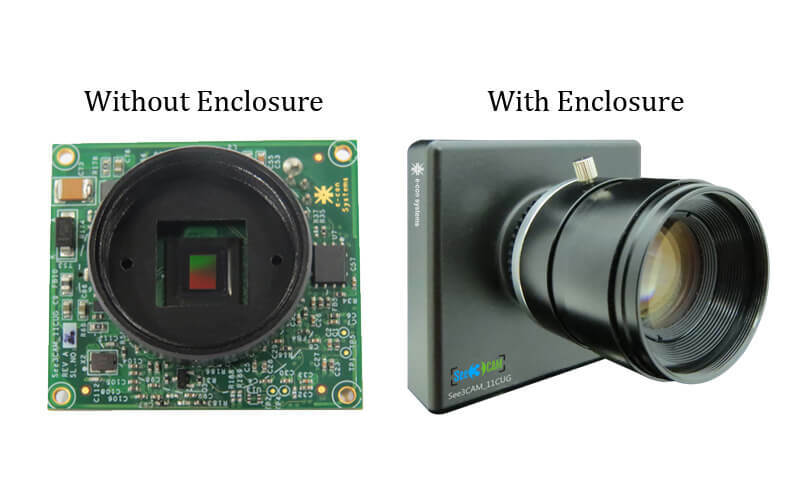 Note: For bulk production, USB 3.0 camera module without CS-mount holder is also available.